This is the first time since 1995 that Apple pay a dividend to its shareholders, a sign that the Steve Jobs era is over: the legend, the co-founder of the company would have been viscerally opposed to this practice. This practice can nevertheless "loyalty" investors and make the action less sensitive to their possible whims. The Apple executives (excluding Tim Cook) are also affected by this decision, which must also remember to go to competition. According to Peter Oppenheimer, Apple's CFO, the payment of a dividend should provide for the $ 45 billion over three years. This decision must be confirmed by the board of directors of the company. A board that has already authorized the launch of a share repurchase program of up to $ 10 billion as of September 30, 2012, the start of fiscal 2013 Apple . This program, which will be conducted over a period of three years, is officially designed to enhance shareholder value in the internal procedures of option grants. As a dividend, however, it reinforces the value of Apple stock for investors: Apple buys here the equivalent of 1, 8% of its shares at their last public all actions that will longer in circulation, increasing the value of those remaining. This movement is still a very limited extent under current conditions. "We used a portion of our cash to invest in increasing our spending on research and development, through acquisitions, store openings, capital asset in our supply chain and development of our infrastructure. 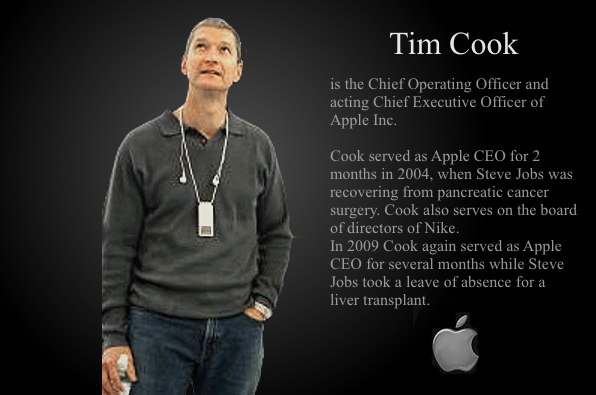 "Said Tim Cook, Apple's CEO, which ensures that these movements will continue. "Even with these investments," he continues, "we always have a nest egg in case of strategic opportunity and enough money for daily operations. "Enough to afford to pay a dividend and repurchase shares. It is true that this policy should be neutral or even profitable for Apple: the 55 billion "expenditure" are announced potentially funded solely by the interests and growth of its present mass of liquidity and its work, made even more attractive on these next three years.